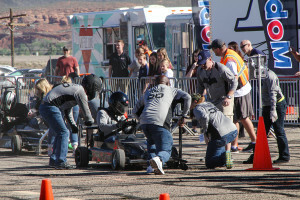 The engines revved and the checkered flag flew at the Ridgetop Raceway in St. George, Utah as 34 teams from around the globe recently vied for racing fame at the 2016 SkyWest Mini Indy! The airline industry’s premier charity event, Mini Indy includes Indy-style cars racing up to 25 MPH, a finger-lickin’ BBQ pit master’s competition and golf against the scenic backdrop of Southern Utah’s unmatched beauty – all to benefit those in need! 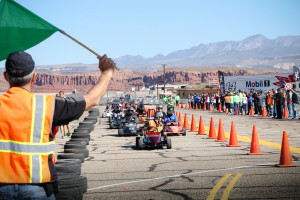 Since its inception 16 years ago, the SkyWest Mini Indy has raised more than $1 million for United Way Dixie. Those donations have helped countless people in need in Southern Utah, with 100 percent of the proceeds staying in the community to help those who are struggling to meet their basic physical and emotional needs. In conjunction with the event, nearly $50,000 was raised in 2016 to benefit the SkyWest Scholarship Program through the Mini Indy Golf Tournament and a drawing to win a CAN-AM Outlander Max 400 4-wheeler, generously donated by Bombardier. In the last 15 years, the SkyWest Scholarship Program has helped hundreds of SkyWest employees and their family members achieve their higher education and professional goals. 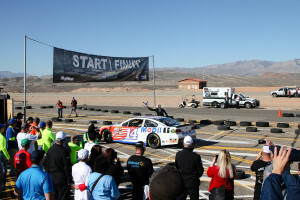 Mini Indy is just one of the many ways SkyWest gives back to the community. 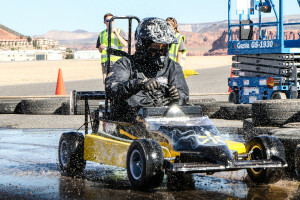 To get more information on the excitement and the partners involved in Mini Indy, visit www.miniindy.org.